The legendary Studio B at Ocean Way has been home some of the most admired recordings ever captured, playing host to acclaimed artists including Radiohead, Kanye West, Eric Clapton, Green Day, Paul McCartney, and so many more. 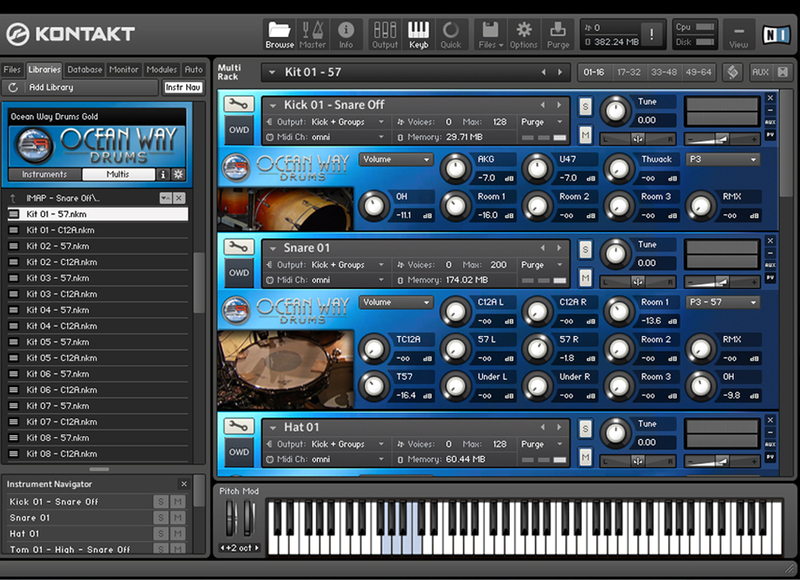 Ocean Way Drums captures the nuances of this legendary space and translates it into one of the most professional sounding virtual drum libraries ever recorded. Grammy® winning engineer/ producers Allen Sides and Steven Miller gathered their favorite kits inside of Studio B and tracked them using a discrete multi microphone recording and mix technique that utilizes up to 10 separate mono and stereo sound sources, including 3 incredible sets of stereo room mics.